Daylighted Makes Art Accessible, Everywhere. Art is incredibly subjective and personal, but one common element is that art is generally not readily accessible to most people. Museums, galleries, and exhibits are in most major cities today—but otherwise, options to experience art on display are much more limited. Alex Cammarano is the co-founder and CEO of Daylighted, a San Francisco Founder Institute portfolio company that is bringing art everywhere through technology and a subscription platform. Art should be everywhere, and it should be just as accessible as music. That’s according to Cammarano, who co-founded Daylighted after moving to the US from France. Today, music of any genre can be enjoyed with a few clicks of the mouse or taps and swipes on a mobile app—and people of all ages know exactly how to access music. Art, on the other hand, is more static. To experience art on display requires a specific setting in most cases, and social media platforms like Instagram don’t truly bring out the same beauty and creativity that an artist can convey through mediums larger or more textured than a tiny phone screen. Art can be, you know, difficult to access. It's stuck in art galleries, museums. But if you're not really interested in it, you'll never go. That was my case. After spending hours on Instagram I was like, ‘Oh, my god, I really like art. I have a lot of good emotions around art, and I want more of it. I decided to work on a little solution to have a stream of artwork on a screen in my living room, so I would not spend that much time on my phone’s small screen. Instead, I would access that content automatically on the bigger screen. It was at this point that Cammarano and co-founder Elisabeth Mouchy realized that he was not alone, and that more people would like access to art in more places. After an initial run working with hotels, the co-founders started to receive a lot of positive feedback from their guests as well as from the artists. 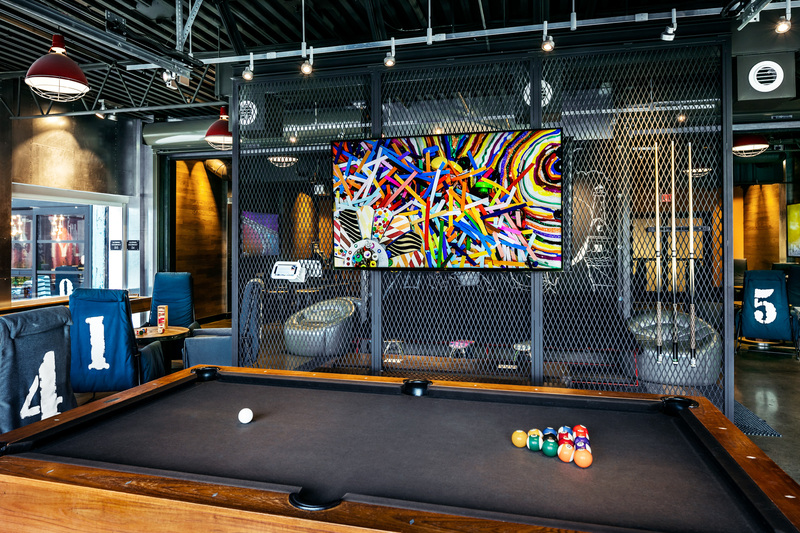 Their solution allowed the hotels to display local art, all using existing equipment, and adding more sophistication to the environment. I have learned a great deal in bootstrapping Daylighted to considerable commercial success over the past year. 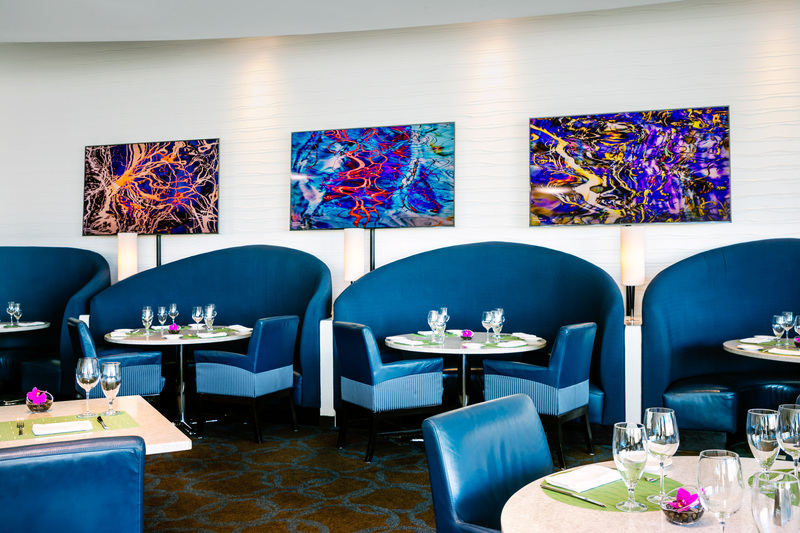 I sought to bring beautiful art and state of the art technology together in creative ways that benefit business enterprises seeking to please their clientele, from major hotel chains to commercial real estate owners. Through their success, Daylighted developed a simple mission: to bring fresh energy and accessibility of art to everyone. More specifically, to bring attention to emerging artists, which can easily be done through their SmArtGallery, which enables both commercial and residential owners to display a large range of constantly changing or curated works. The artists also provide information about the work and themselves, which is then made accessible each time their work is presented. The SmArtGallery is a little dongle we plug into the back of a screen in a hotel lobby, in a restaurant, in a coffee shop, or in any public place, and then it rotates artwork. And so the venue can also, at any time, go onto the platform and decide, ‘Hey, today we want this specific art piece,’ or ‘We want this specific art gallery,’ or ‘We want that museum's exhibition’ and display it on all of their screens. Not only is there a gallery present, but viewers can learn more about the work through a mobile app, or the space’s owner can choose to put a mobile device on display to make it even more accessible. Viewers also have the ability to purchase the work or similar work from the artist, too. The key element is that the art goes to the people, rather than the people to the art. Daylighted also offers the digital content to the space owners, so that they can promote it on social media to encourage more foot traffic into their space. When asked how he defines success, Cammarano said it all circles back around to bringing art to the people. It’s every time there is a guest in the hotel that has never been into an art gallery or never really looked at art, sees Daylighted and says, ‘Wow, this is pretty cool,’ and they get this little emotional response like, ‘I think I like that.’ And they scroll through the tablet, they look at the full exhibition and they look at another piece, and they say, ‘Wow, I like this one too.’ And then they start thinking that maybe they like art, but they didn't know it before because they were not exposed to it — that's the success story, inspiring more people through art.